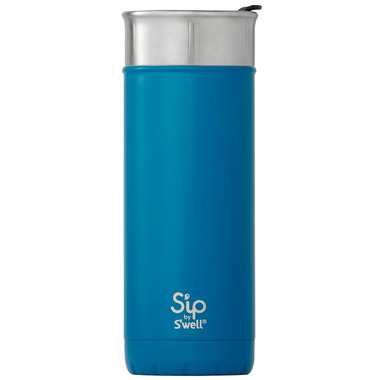 Liven up your morning with this fun S'ip Travel Mug. Love this mug, its probably the best travel mug I've ever purchased. Easy to clean, no leaking and keeps my coffee hot. Love my new Sâ€™ip cup! I was looking to replace another excellent brand of coffee go cups and decided to try these as I live my Sâ€™Well bottle for water. These fit in cup holders easily, lid appears to be spill proof based on how tight it fits (not proven - yet). Coffee stays hot and likewise liquids nice and cold. I would buy more. Well.ca was easy to order, quick delivery.